The goddess Ugratara is the tutelary deity of Eastern Ganga dynasty Gajapati kings. Her ancient temple lies 65 kilometers from Bhubaneswar. The icon of Mother Tara is Chaturbhuja, holding potent weapons in her hands. She is very popular as Ugratara due to her fierce aspect, but benevolent to the adorers. There is a railway station named Bhushandapur in Khordha district. 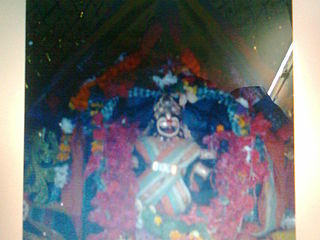 Give Responses for "Maa Ugra Tara Temple of Khordha"